The theme of the room invents itself in the creative department of your mind. It can (and will) undergo numerous changes over the years as your baby grows to toddler, tween and finally teen. However, a major part of your decorating budget goes into buying the kids or baby furniture for the room. You need to be practical here. With the wide variety available today, it is easy to lose your way. Keep these important points in mind when you finally decide to purchase. 1. Check the activities in the room. You have already listed the various activities your kid has planned for the room. Now is the time to review and note what function each piece of furniture will accomplish. For example, plan on spending a lot of time with your baby during the night? Opt for a Daybed in the nursery or a ﻿CO-SLEEPER﻿ in your bedroom. 2. Bring out the Tape Measure. Before you start shopping for that exclusive toddler car bed or personalizing the bedroom dresser with your name on it, measure the size that would fit your room. Sure, most come in standard sizes. But if you know your measurements, you can avoid the heartbreak of that perfect desk not quite fitting in the alcove. Yes, it is a tiresome word and you would rather browse the shops (so much more exciting, isn’t it). But DO research the important features of the items you want. It could save you unnecessary expenses! Multi-function is the name of the game today. And baby furniture manufacturers are aware of it. Try to find items that grow with your kid. Convertible Cribs that transform into toddler beds (some even convert to a full-size bed to fit your growing kid), changing tables to bedroom dressers, rocking chairs that can go from nursery to dad’s den. The options are unlimited. 5. Chocolate and Vanilla Furniture. The kids or baby furniture is the most expensive part of kids’ room décor. Sometimes we cannot purchase all the pieces at once. Purchase the most important items now and add to them as time goes by. So you could buy the bedroom dresser right away, but hold off on the bedroom vanities. Don't limit yourself to the usual chocolate and vanilla flavors. The kids bedroom is the one place where you can let your creativity flow. Buy colorful pieces of color them yourself. Cover them with vinyl decals, stencil in designs and generally, have a Blast! This is where the biggest part of your decorating budget will be spent. To purchase something that will outlast every theme your kid can think of, splurge on good qualityfurniture. The pieces must be durable and well made. 7. Casters – our dearest allies. The best furniture hardwares you could invest in are the casters. At the infant stage, bassinets with wheels allow you to carry your baby comfortably throughout the house. For older kids, re-arranging the furniture becomes a breeze… giving them the oft-needed change in décor. Every parent has pored over books on baby safety. Yet…every baby is different. As a parent, you need to monitor your baby and see the safety issues that apply specifically to him. There are, of course, some general guidelines. Buy baby furniture pieces that are sturdy and do not tip over your wobbly baby. 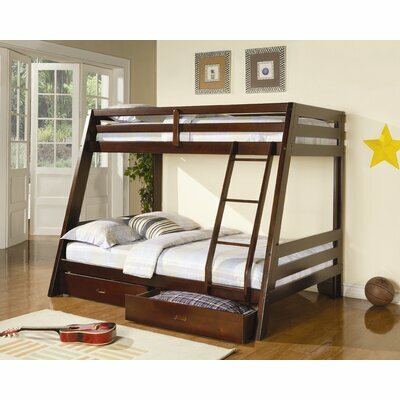 If investing in a toddler car bed or bunk beds, check the toddler rails are securely in place. Keep the ties and binds of the canopy crib away from curious fingers. Read our guide on Crib Safety. 9. Don’t forget the Bathroom. When we think kids furniture, we tend to give the bathroom a miss. Items such as stepping stool and laundry hampers can make bathroom activities more convenient for you and your child. For the teens, ample storage is a must for their innumerable creams, gels and other fancy cosmetics. Get eco-friendly in your purchases. Look for furniture manufactured by companies that follow environmentally safe practices like sustainable forestry. Opt for items having a non-toxic finish. The baby furniture pieces differ from those needed by older kids. Thefurniture items need to complement the increasing activities and blossoming personality of your kid. Thankfully, the options available today allow us parents to buy single pieces that serve multiple interests. In today’s fast-paced world, change is the order of the day. Each day can bring a new city, a new school…even a new hairstyle. Give your kid something old and familiar to come home to. Choose carefully. These silent companions will soon become a part of his cherished memories. Convertible Cribs - What's so great about them?